The Papilion in Honor Heights Park announces their participation in the Great Backyard Bird Count on Friday, February 15. 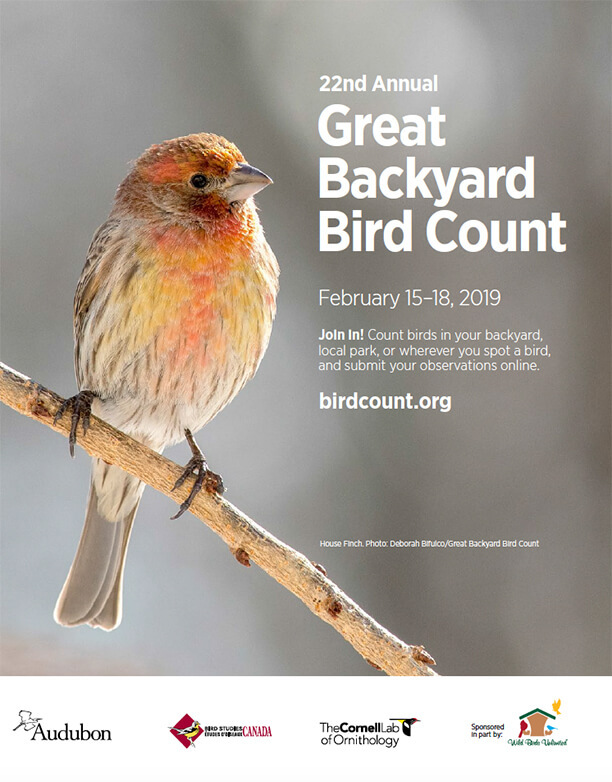 This worldwide citizen-science project is sponsored by the Cornell Lab of Ornithology and National Audubon Society to collect data on wild bird distribution and abundance. Guided by Papilion Naturalist, Tom Roberts, the community is invited to join this bird count in Honor Heights Park from 8-10am, Friday, February 15. Participants should meet at the Papilion by 8am, dress appropriately for the weather and trail hiking and bring binoculars and a bird guide.